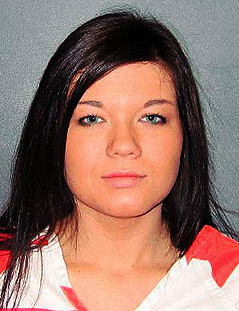 Ending the year on a bad note, Teen Mom Amber Portwood was put in jail for abusing baby-daddy Gary Shirley. The reality television stars have allowed their tumultuous relationship to be played out on-screen, but Amber's criminal charges for domestic abuse proves even teenage reality stars are not above the law. The drama began on-camera when Amber used Gary as a punching bag in front of their two-year-old daughter Leah. After the episode aired, the authorities began investigating Amber and eventually charged her on December 27. The Teen Mom was then put in jail for 24 hours.